Wrap it in bacon and throw it on the grill — this is the Texas way to cook dove. It’s such a tradition, it might as well be the law. It was the law in my life until, one day, I was shown a whole new way to prepare dove. I was sitting in a conference room at the JW Marriott listening to the resort’s head chefs banter away about cooking wild game during a cooking demonstration. 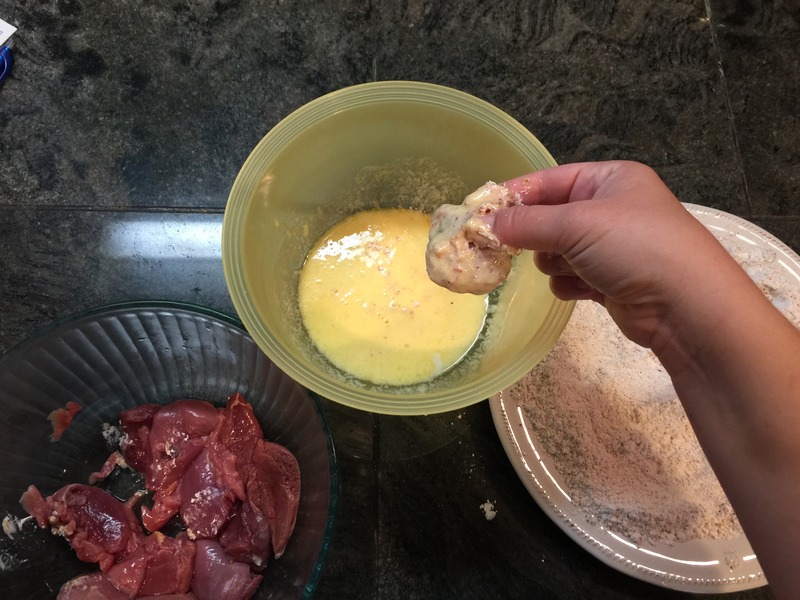 When they started on a recipe that included two of my favorite things in life–wing sauce and dove meat–my ears perked up. These wings make the standard bacon-wrapped dove recipe seem just that–standard. And they give the term “wing shooting” a whole new meaning! 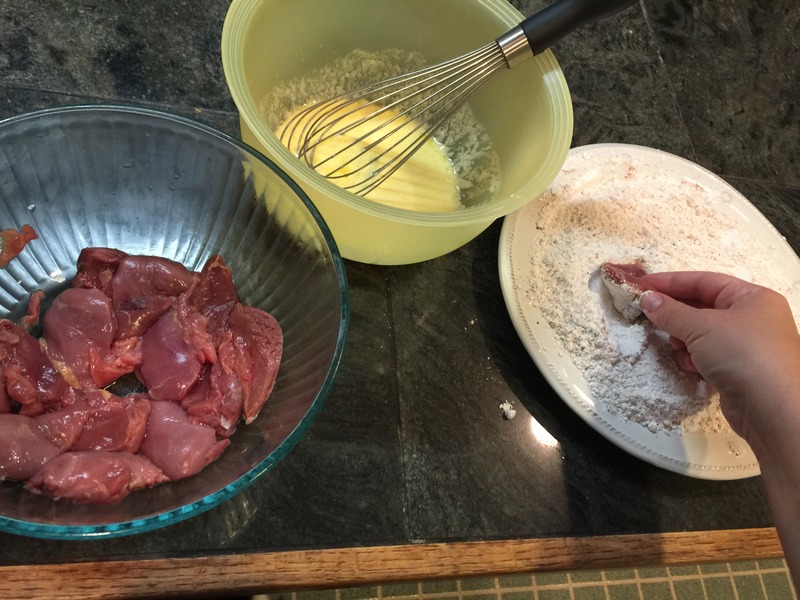 To prepare your dove, remove the meat from the bone by gently sliding your fingers under the breast meet. In a skillet, heat oil to 350 degrees. Mix the flour, salt, pepper, and paprika together and put on a plate. Whisk eggs and then add the buttermilk, whisk some more. Dredge dove in flour mixture. Then dip in egg mixture, then back in flower mixture. Using tongs, flip the dove and cook a couple of minutes on the other side. Drain on paper towels. In a separate pot, heat and stir the buffalo sauce, honey, and butter. 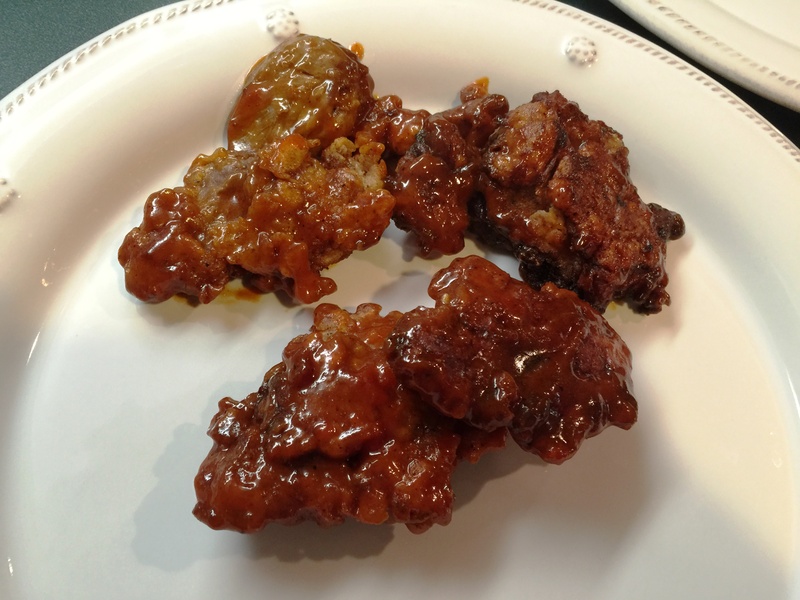 The honey and butter tone down the spiciness of the buffalo sauce so adjust according to your taste. 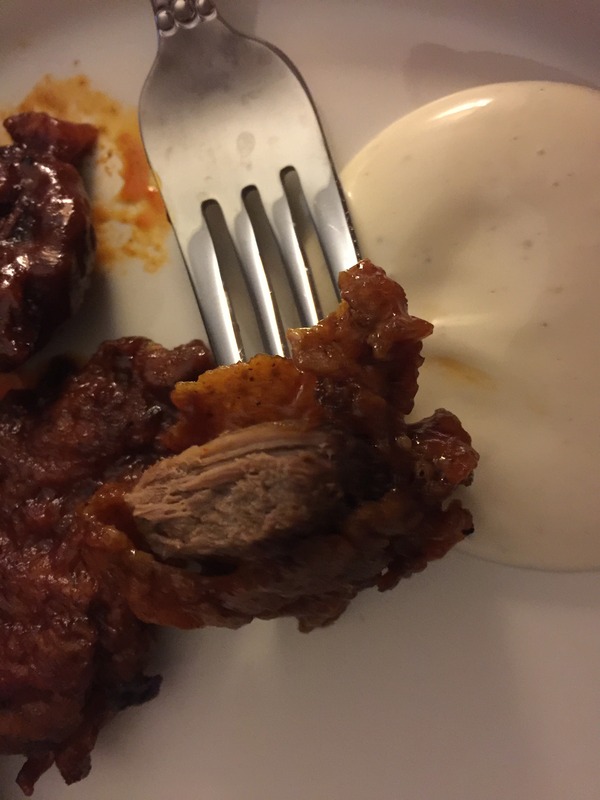 When the dove are cooked, coat thoroughly in the sauce. Serve with ranch or blue cheese dressing. You can even serve it on a bed of arugula and drizzle ranch to make it look pretty. I skipped that part last night. Now I am no dating expert, but this would be a great dish to serve to a guy. He would be begging at your feet for your eternal love in no time. Trust me, it happens every time at my house! 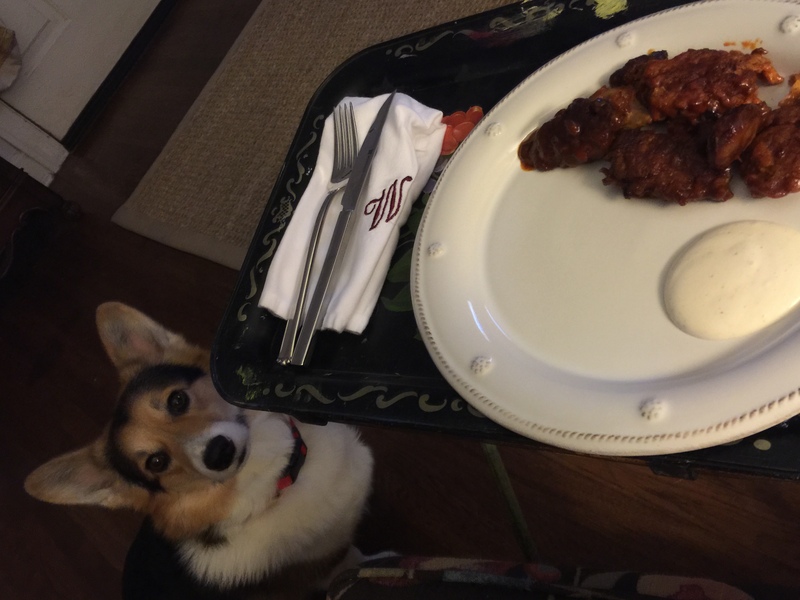 Who can turn that bite down? No one in my house. So here’s to a new way of cooking dove. Let’s write it down in law. 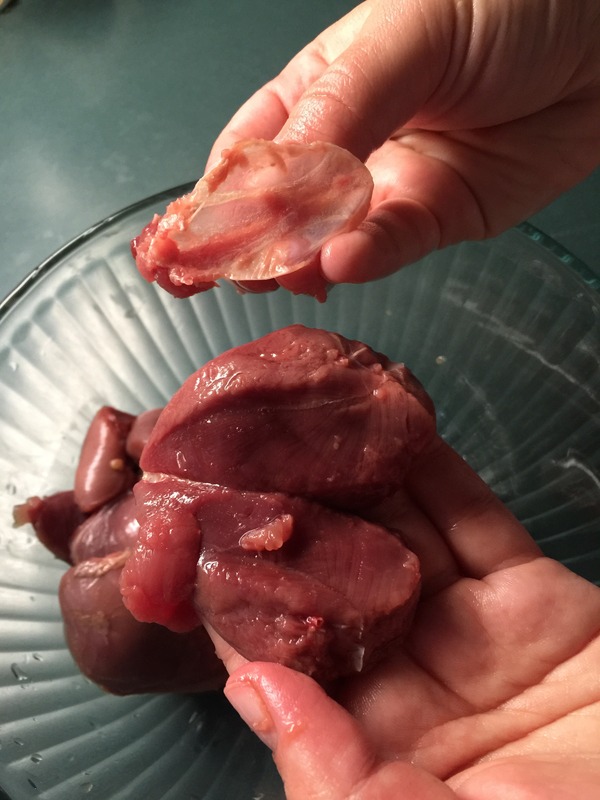 2 Replies to "Buffalo Style Dove"
Great tip on the dove wings! Looks fantastic. Try browning then in a pan and then simmering them in a half and half mixture of salsa and peach preserves. Serve over rice. Called “peachy dove picante” and another one of my favs. Good luck this season.